Hey darlings! 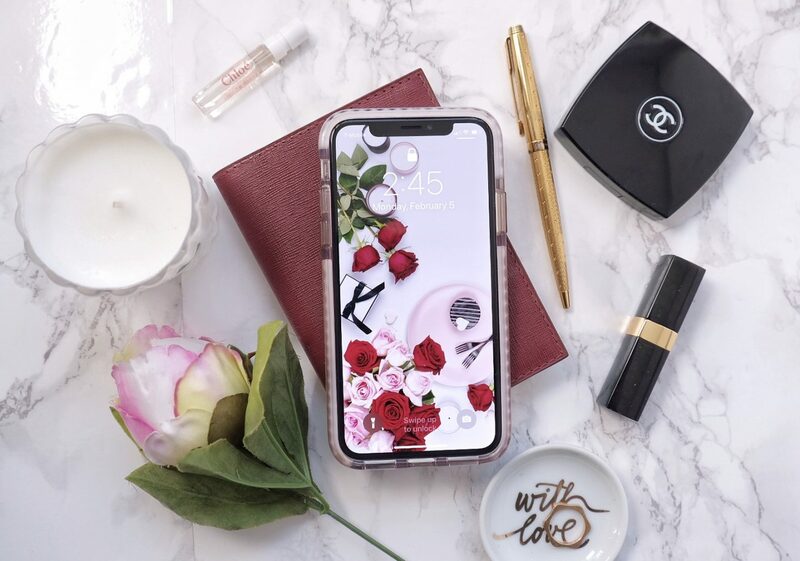 After about a little over a month with my iPhone X. I can finally do a review for it in terms of how well it works for the Blogger Babe! 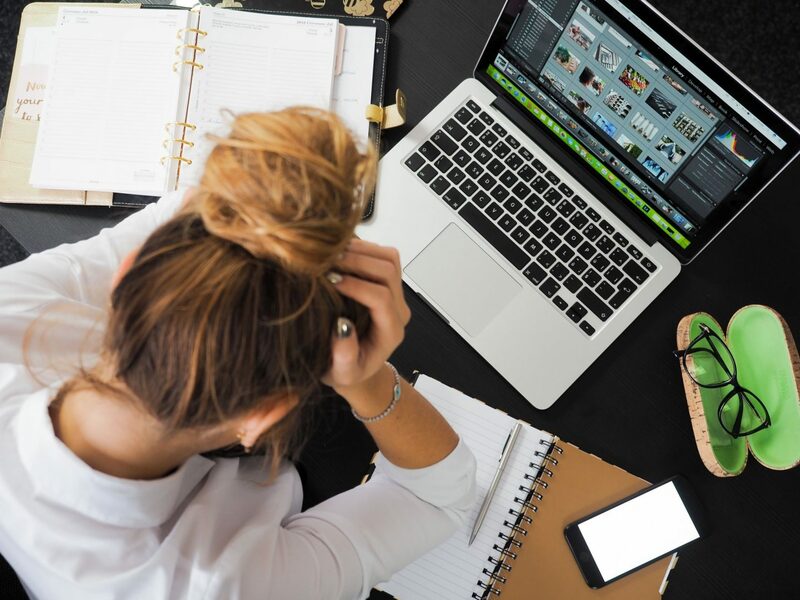 I know there’s a bunch of tech reviews out there, but I’m reviewing this strictly in terms of the usability for blogging and social media usage purposes! So if you want to know more, read on! My previous phone was an iPhone 6, so it was pretty dated. Apps were running slowly and there were time lags, plus I was running out of memory. The final straw was when the screen just completely shattered days before Christmas! Now, my phone was definitely due for an upgrade. I was planning on getting the phone during it’s first release so I can review it quicker. However, le boy believes the first batch is usually problematic. So he told me he would wait to get it for me during Christmas. Alas, Christmas came and the iPhone X was safely delivered into my hands. I have had iPhones since the release of the iPhone 3G. So I’ve had generations of iPhones. My blog work equipment also consists of a MacBook, iPad, and occasionally the Mac. So everything just backs up seamlessly over iCloud. I do pay $1 a month for iCloud to store all my data. I did contemplate on the Google Pixel 2, because it’s probably one of the best contenders on the market. Plus you get free storage! However, after years of using iOS, switching over to Android would prove to be difficult. Plus the convenience of everything I work with on one platform is definitely something I didn’t want to give up. As a blogger and social media influencer, it didn’t make sense for me to get the 64gb. My iPhone 6 was 64gb and the memory crashed the moment I started blogging. I knew I definitely needed 246gb. So I opt. for that one instead. In all honesty, for blogger babes, I would definitely recommend the 246gb over the 64gb. It is only $150 more and it gives you four times more memory capacity! If you’re already going to be paying for such an expensive phone, you may as well go all the way (given that’s what you need). I got mine in silver, because I’ve always gotten the white or gold variety. I do admit that the black looks sleeker as a whole because it flows much better. The front has this black edge, which I feel is a design flaw. I don’t feel like it’s aesthetically pleasing, especially when the screen is lit. The front and back are both glass displays which I feel is pretty, yet dangerous – kind of like a beautiful woman. Overall, as a blogger – I think that both colors are classic and work into your daily life with ease. The front black edges mentioned earlier takes away some space of the display. If you’re transitioning over from a plus, you will definitely feel the difference. While the iPhone X has a 5.5 inch screen and the iPhone 8 Plus has a 5.8 inch screen, there is a significant difference in terms of display. As seen on the tweet below, this has definitely been an issue. Now, I would prefer not to go with a Plus sized phone because I’m super minimal and the thought of carrying such a large phone does not appeal to me. Plus let’s face it, the 8 Plus would not fit into my cute tiny purses. So, I went with the iPhone X, which boast a bigger display than the 8, but the overall size not quite as large as the 8 Plus. That was the perfect situation for me. However, if you don’t mind a larger phone and would like more work space – the iPhone 8 Plus is a considerable choice for a cheaper price point as well! Now, this is a big one. One of the biggest reasons why I chose an iPhone X! It was for it’s camera. I’m sure this is something most of you blogger babes care about. How is the camera? I found the camera to be sufficient for every day use. In natural lighting, the photos are vibrant and beautiful. It becomes lacking when there is lack of light. However, the camera is still infinitely better than it’s predecessors and nifty to have around. Plus, the different photo options like portrait mode and the likes is a wonderful option to have – especially for street shots. Can it’s camera replace a DSLR camera? While the iPhone X’s camera is superb for a phone camera, I feel there is still some way to go before it can replace a DSLR. Heck. It’s definitely no DSLR. At least, not yet. Let’s see what Apple can do in a few years. If it can even close to replace my DSLR, I’d jump at it even if it costs 2k! The iPhone X functions well at taking flat lays, given the proper lighting. It also fares well when you’re taking photos of something close by. However, when there’s objects farther away and the photo requires more depth, the camera becomes lacking. Though it ultimately can not replace a DSLR, it does great as a back up tool. If you didn’t lug out your DSLR, photo quality on an iPhone X will not be detrimental to your overall social media feed. That’s a plus in my books – for convenience sake. Many bloggers do quick edits of their photos on their phones before uploading to social media. The display size of the iPhone X is sufficient for this purpose. It also functions very well and feels seamless overall when you’re transitioning between apps. Being a blogger babe, you’re probably always tapping away at your phone to post new things and reply to emails and messages like me. 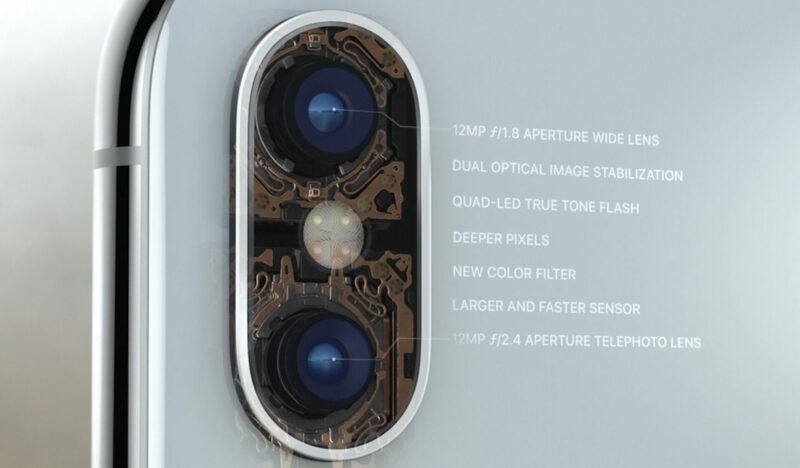 The new A11 Bionic chip of the iPhone X, makes everything super fluid. I’m able to quickly go through different apps, reply, comment, and send things out, however fast my fingers can take me! Without delay! This saves so much time considering the amount of messages and social media things I have to tend to on my phone! My phone is still too new for me to really dive into a true review about the battery life. However, it is sufficient for a busy day of use from your standard 9-5 work day without recharge. As bloggers, we are heavy users for our phones and go out for events all day. I found the battery to be sufficient, but I would still recommend carrying a smaller external battery or giving it a short charge when you have the chance. (But this is because I’m paranoid and can’t live a minute without my phone.) 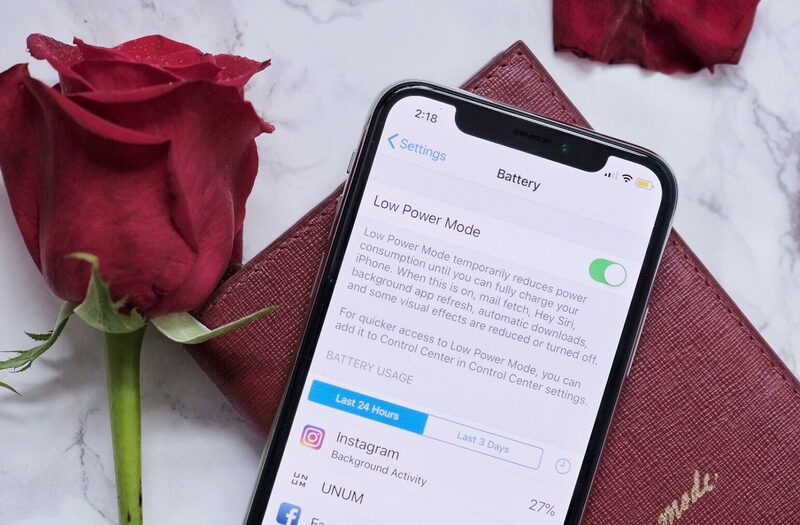 The upside is, you can now turn it on “low power mode” to save battery, even when you are fully charged! So if you know you have a full day ahead, you can opt. to turn it on from the moment you step out of the house! Pretty nifty I’d say! 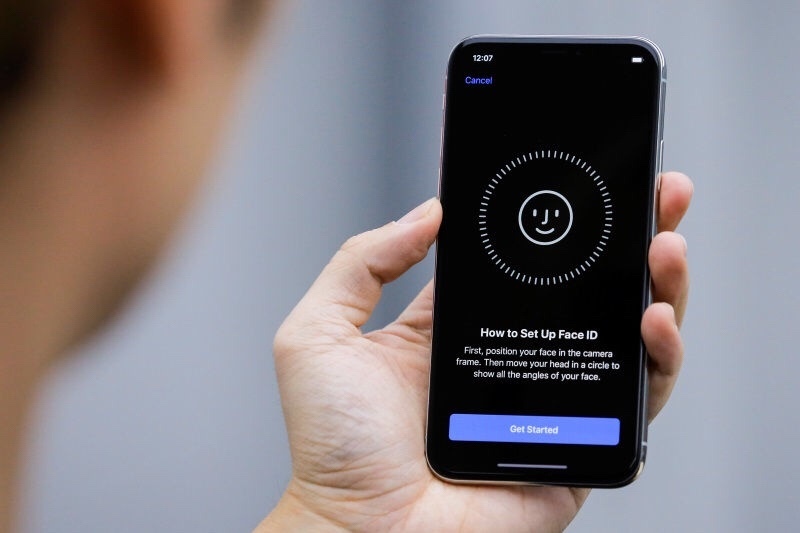 One of the most asked question is – just how well does Face ID work? Well… to me, it’s just alright. I don’t hate it, but I don’t love it. I honestly, prefer Touch ID over Face ID. This is because, with Face ID, I can no longer unlock my phone on the table while I type away at my laptop or sip my coffee. For a blogger, it’s important to multi-task. Having to input my passcode or just face my phone for a split second really defeats the purpose. Plus, I feel like Face ID takes longer to process and unlock. The iPhone X costs $999 USD before tax for the 64gb version and $1149 USD before tax for the 246gb version. At the price point, I would recommend adding Apple Care + on it for $199 since it is deemed “the world’s most breakable phone” over the net. Apple Care + gives an extended warranty that lasts for two years and protects against two incidents of accidental damage. With Apple Care +, Apple charges another $29 fee for screen repairs and $99 for other damages. This is as opposed to $279 fee for screen repairs and $549 for other damages without Apple Care +. I got my 246gb version with Apple Care + for a little over $1,500 USD after tax. It’s definitely an expensive phone and basically the price of a bunch of camera equipment and even a laptop! So whether it’s worth it or not, really depends on you. Over the weekend, I just got my little over month old iPhone X replaced. I was experiencing something the internet calls, “ghost touch” – where the screen just spazz and touches random things or just doesn’t respond to touch. I had this problem for weeks, so shortly after I got the phone. I waited out a bit and did resets and updated iOS to see if it would fix itself. However, the problem persisted, so I just had to make a trip to the Apple Store, which took a dreadful two hours. The problem caused me to be locked out of my phone, couldn’t pick up phone calls, danger while driving because the GPS would be all over the place. On top of that, I could barely use my phone for blog work, which completely defeats the purpose of the phone. When I got to the genius bar, they told me I was 15 minutes late for my appointment, but it was because of long lines to wait for check in. I was beyond annoyed at that moment already. Then I waited about 20 minutes for a specialist. When he came, he spent a good half an hour telling me it was probably a software corruption since there was so much data transferring from previous phones, that could happen. So he wiped my phone completely. However, after that, I sat there to download some essential apps before heading out and the screen continued to be unresponsive. I flagged my specialist down and he finally ran a software test on it and said it is probably a hardware issue then. So he had to replace my phone. I later googled that there are some cases where the screen hardware will have issues like this if the phone gets exposed to extreme cold weather. I’m thinking it might be the week after I got my phone when it was around 20°F and I tried to take some photos. Honestly, it wasn’t that cold. If I could survive it wearing no jacket for a photoshoot, I would hope my phone could too. And the fact that it potentially didn’t irks me. Especially for a phone that I had for a month and paid 1.5k for. The iPhone X delivers and does what it promises when it doesn’t have problems. There are little issues that bother me, that may not bother you. However, the little issues are something that I can choose to live with. For blogging purposes, it’s a wonderful phone. Work space is great and the camera functions well. It’s a convenient and easy to use device. However, I would just make note of the fragility of this phone. It’s definitely a phone you have to be careful with. You also should consider the possibility of taking time to visit the Genius Bar if any issues are to come up. Remember, this is the first of it’s kind for Apple – so there are definitely little things that aren’t perfect. For the price – many would expect perfection. However, we are not in the perfect world now, are we? So definitely factor in the price point to determine if this is a phone that is workable for you. 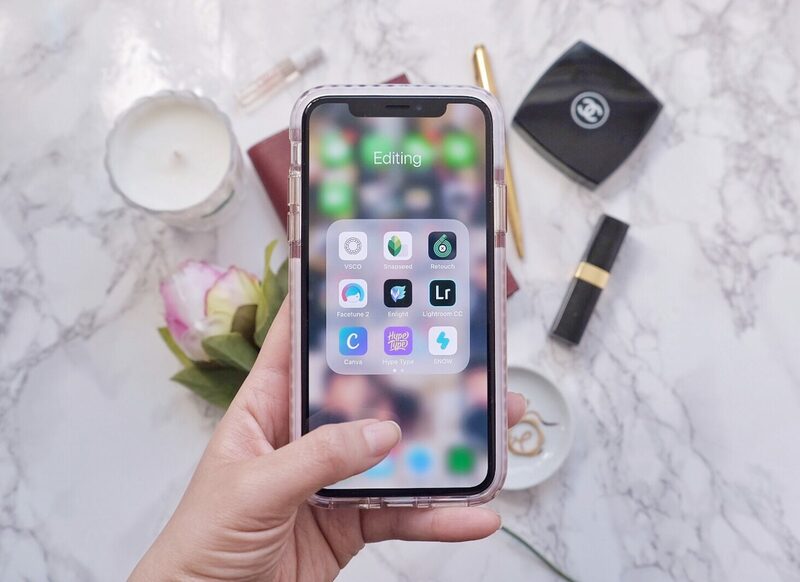 It’s also up to you, whether you feel like the iPhone X is worth the investment for your blogging career. For me, it’s the model that works best after much consideration – so I ultimately paid the price for it. 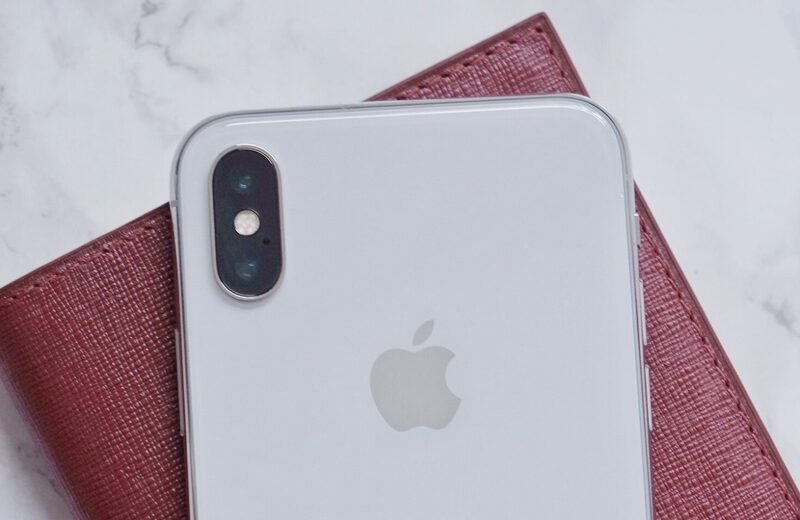 Hopefully this was helpful and answered any questions you, blogger babes or anyone has about the iPhone X! Don’t hesitate to write back with any questions and comments! I’d love to hear from you! I just upgraded my iPhone and have to say that I love it. Especially the photo quality. I was actually wondering about the phone and how much more beneficial it would be than an Android. I love the idea of the portrait setting. This was really helpful. Such a great, detailed review! I have an iPhone 6s plus, and it’s still doing great, but I’m not gonna lie. The camera on the iPhone 8 plus and the iPhone X are very tempting! This is such a great review! I never thought I would need more space on my phone, but I have the 6 and never have any room for anything!! Thanks for the advice! I’m definitely in the market for a new phone soon. Awesome detailed review! I have an Android, and really appreciated the information! I got the iphone x and the iphone 8+ and I must admit that the X is amazing!!! I love your thorough review! I got the iPhone 8+ mistakenly thinking I was getting the same camera as the iPhone x. Crossing my fingers that the next time I upgrade, the capabilities will be even better. Great review! 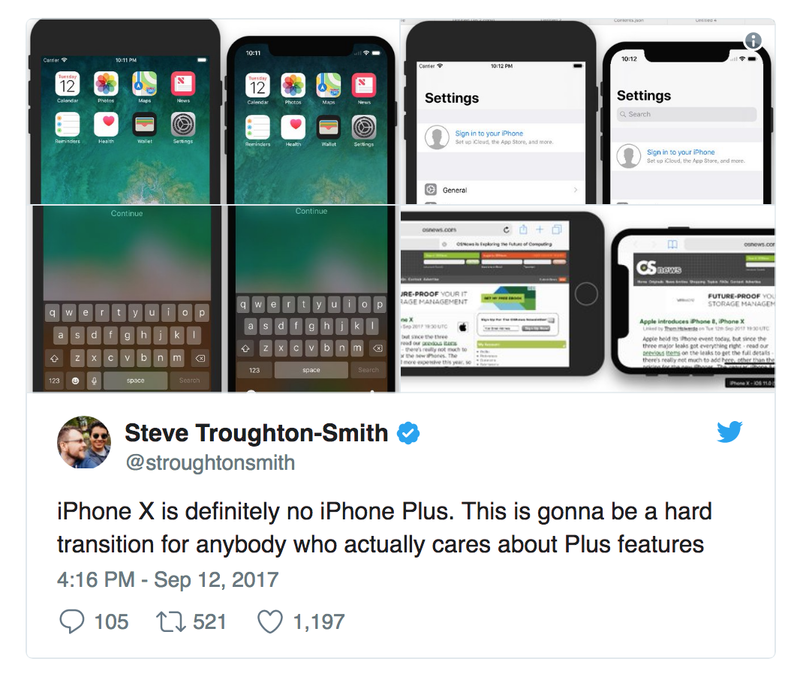 I just recently got the iPhone 8 plus, but wish I would’ve splurged on the x! Maybe they’ll work out all of the bugs from the x and release an even better product next time! I have the iPhone 7 and I’ll keep it until it dies on me. No way could I spent $1000 on a phone. Hopefully the X goes down in price by the time I want to upgrade! Well I guess it’s time for an update. I still have the IPhone 6 and was considering the IPhone 8 as the upgrade but now I’ll reconsider. Thanks for the compassion and for sharing your experience with the X. Very helpful! I did not go for the iPhone X but for the 8S and I am very happy with it, although the size does bother me sometimes! I thought about getting this one but instead I opted for the iPhone 8+ I love that portrait setting. I’ve always carried an iPhone and I’d love to learn more about the X before I get my hands on it. I really appreciate this honest review. I’m torn between getting it or the 8 plus which is basically less fragile than this one. I’m an android user (samsung), the partner Iphone 8plus. We got our phones free with our subscription. Anyway, for that price, yup I’d expect perfection too. You also said that it was a bit fragile. Not good because I have a toddler climbing and running all over the house. The iPhone X looks great. I’m an Android girl so I’ll stick with my Samsung. It looks amazing. I have a Huawei and I’m happy with it, and my husband has a Samsung that makes photos incredibly beautiful. It’s a nice phone but I probably won’t be getting this one. I think it’s awesome and has great features, but it’s still the same iPhone that we’ve all come to know. I appreciate the review though! I just got the iPhone X and so far I love it! I’ve had a lot of friends ask me about it so the next time I do I’m going to send them to your review, well done! I may have to look into the X. I love iPhone but I am hoping that the camera is better with the X.
I have never had an iPhone. It looks like a great phone, but the camera is very important to me. I take a lot of low-light photos. I’d have to really compare it with other cell phone cameras to make sure it is worth that price-point to me. I haven’t upgraded yet to iPhoneX. Maybe at the end of the year! Hands up I still have an iPhone 6s Plus I am so tempted to go to the X but it’s the cost. I am so stingy when it comes to money being spent on something for myself. This is a great review! I know many people that have gotten the iPhone X adnd simply love it! I got the 8 plus because I love the size. I’m hoping next year they come out with an X plus version. I think people would go crazy over it! I’m thinking of upgrading to the X! Thanks for this review. I’ve read one by companies and they never seem genuine. Thanks for sharing. The review is so detailed, thank you. I super appreciate this review! I was not sure whether it was worth it or not! That phone is no joke. It is such a powerful tool; I love mine! Great job with the detailed review! 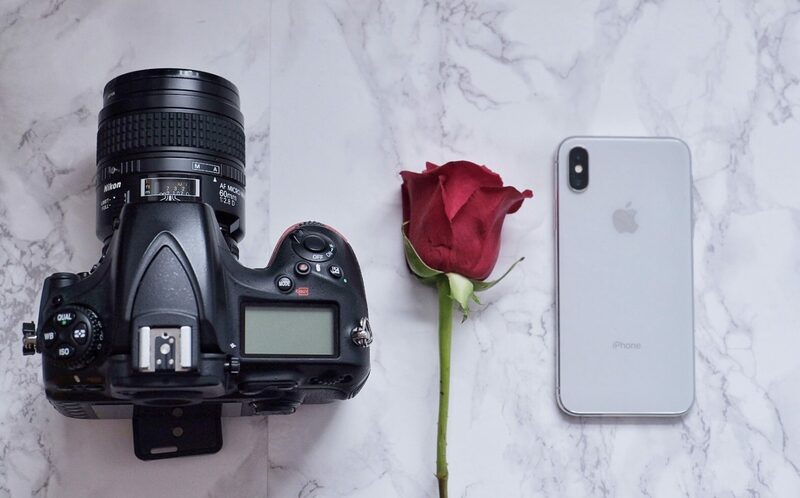 I really love iPhone and I´ve been thinking about the iPhone 8 and the X, for months, but your review gave me more reasons to choose the iPhone X. Thanks for sharing. Im actually really grateful for this review. I am about to the end of my Iphone 6s Plus and i was looking into the Iphone X. I really want to make sure I get a good phone and one that takes great pictures. My last phone was my first Iphone so i was not wedded to it, although I do have a MacBook plus so some of the features with the phone have been nice. I’m just not sure yet or whether I would rather wait to get another Phone later. Loving this review! Everything I needed to know was covered. Loving your blog btw! This looks like such a wonderful phone. It is awesome when a phone can do so much for you when you can’t be at a PC to be able to work. I have been dying to upgrade to the iPhoneX. I have an iPhone8 so it didn’t make sense to upgrade yet. But soon! Great review. Makes me want one even more. Great wirte up! thanks. I have wondered about the iphone X. Seems amazing. Loved your review! I definitely hold out on upgrading my iphone til I have no other choice to do so. I’m very minimal so I dont need all the bells and whistles. Your review was super helpful because I’ve been thinking about upgrading!! Sounds like I need to make the switch soon! With all the new bells and whistles, the iPhone X is definitely a tempted buy. I would definitely love to have more storage, but the price seems a bit expensive for those extra GB. I too have iPhone X and I love it. Great review. The iPhone seems to have taken a leap on features esp. the camera and the Portrait mode on the camera. So those who are already on the Apple eco system have another reason to stay loyal. Thanks for the honest review. Thanks for the genuine review, this is definitely a nice read dear. I’m in the process of deciding between the iphone x and google’s pixel 2. I’m an apple fan but they’re both such great devices. Great review. I just upgraded as well and I like everything about it except the size. I wish it were a plus. Great review!! Very complete!!! Thanks for sharing!! Great info…I’ve been considering an upgrade! i am so thankful for your review-i almost opted for the x vs a dslr and im so glad I didnt! Your review was pretty precise! I always felt people mostly opt for iPhones for its camera I think you threw some insight into its other capabilities. Morever I hate huge phones too like I wouldnt mind a palm full yet no larger than that. I believe as for the problems each one has their own different taste and it may differ largely depending on a person’s preferences. I love how you strictly describe the review through the perspective of and for bloggers! Very precise review! You debunked some myths for me about iPhone and I love how you described the review with the perspective of and for bloggers. I love phone sizes that are not larger than a palm full. the space comment. is so real!